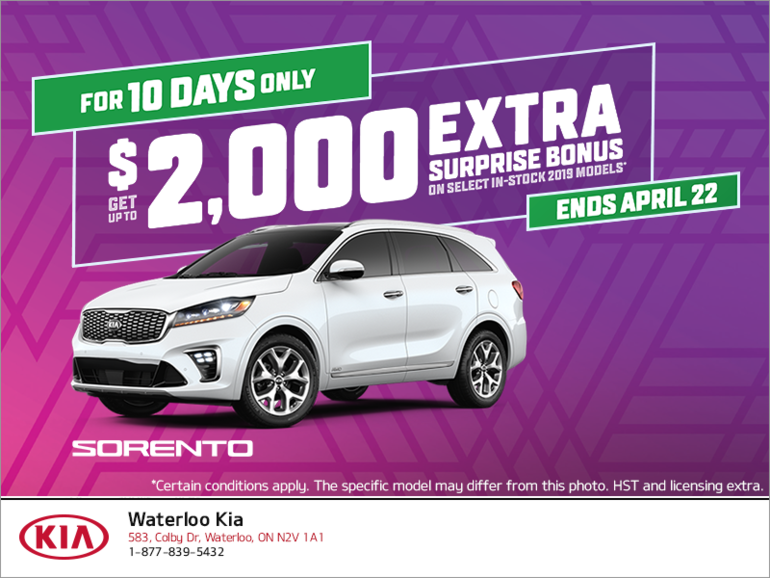 It's the Kia 10 day sale! Get up to $2,000 in extra surprise bonuses on select in-stock 2019 models! This offer is valid until April 22nd, 2019 only!